Is It Possible to Remineralize Teeth? Fight cavities and remineralize teeth the natural way. Learn how you can remineralize teeth the natural way and reverse tooth decay. The teeth’s ability to self-heal is based upon how healthy our salivary glands are. Poor diet causes a number of dental issues, demineralization included. The enamel of our teeth is composed of calcium phosphate, meaning minerals. When we eat junk food and drink soda, the bacteria in the mouth, through metabolization, makes acids. The harmful acids demineralize our teeth, removing the much-needed minerals on the enamel. But here’s the good news – it is not an irreversible process. Following our tips, you can remineralize teeth and restore their health. How your body absorbs the nutrients listed above. This is highly influenced by the Phytic Acid in your diet. Why is Phytic Acid Important? Phytic acid is a substance found in plant seeds and has effects on mineral absorption. This molecule of phosphorus binds with other molecules to construct a type of phosphorus that is difficult to absorb by humans. Phytic acid is converted by our bodies into the calcium-removing phytates. Individuals who consume far too high amounts of the damaging phytic acid will suffer from calcium deficiency and will not be able to absorb other minerals properly. Phytic acid is present in plant seeds, nuts, grains, legumes and, in smaller amounts, some fruits, and vegetables. Because of modern agricultural practices, such as using phosphorus fertilizer, the content of phytic acid in our foods is greater than ever. People who consume foods with large amounts of phytic acid stand greater chances of developing mineral deficiencies, osteoporosis, and tooth decay. This is why, knowing that you consume products that contain this acid, you must look for ways to remineralize teeth and begin the healing process. The best defense against demineralization is our saliva, that works in two ways. The saliva contains minerals that can strengthen teeth by cleansing them of germs. Secondly, saliva keeps the mouth from becoming too acidic and creates a more neutral, slightly alkaline environment. This is a key factor in avoiding cavities. A healthy mouth should have a pH of 7.5 to 8.5. This is the ideal level at which teeth remineralization happens. If the pH is lower than 7.5, then the risk of losing minerals from the teeth increases. Some conditions and autoimmune diseases have an influence upon the salivary flow. Dry mouth (xerostomia) can occur as a result of taking certain prescription medications. Refined sugars and carbohydrates create blood sugar rollercoasters that can result in the blocking of the mineralization flow in your teeth. Both white flour and white sugar are devoid of minerals, vitamins, and fiber. Because they do not nourish the body in any way, the teeth’s health is weakened and cavities occur. Phytates-containing foods, as we previously discussed, contribute to the inability absorb minerals. Anyone who is serious about putting into practice what they’ve learned about the remineralization of the teeth must avoid foods that have high levels of Phytates. Cut back grains and starches. You should eat 80 percent non-starchy foods, such as salad, and only 20 percent grains. And don’t forget the importance of alkalizing foods. There are also alkaline solutions on the market that you can rinse your mouth with. Artificial sweeteners are the biggest enemy of the enamel. If you want to remineralize teeth, then get off these food additives immediately. And it’s not just for the sake of your teeth. Aspartame, Saccharin, and Sucralose, for example, have been linked to serious diseases such as Parkinson’s, Alzheimer’s, cancer, epilepsy, and more. Processed vegetable oils, when heated, release a radical that can be very toxic. Avoid cottonseed oil, corn oil, and soybean oil. Instead, consume healthy oils such as flax, olive, hemp, and coconut. Raw milk is a healing product, helping you to remineralize teeth among many other health benefits. Green leafy veggies contain Vitamin K, that will heal cavities and remineralize teeth. Foods rich in calcium. This means kale, soy milk, sardines, hard cheese, oranges, salmon, almonds, yogurt, white beans, broccoli, tofu, turnip greens, and sunflower seeds. Seaweed is alkalizing, just what your teeth need. Fermented cod oil is packed with fat soluble vitamins. As we’ve previously discussed, Vitamin D is crucial in maintaining your teeth strong. It has the ability to heal cavities, prevent gingivitis, and it is also a natural anti-inflammatory. Because calcium is circulated in and out of the teeth, we need a process regulator. Vitamin D does the job of sending the proper amounts of calcium to the teeth. It is also responsible for binding your teeth to the mouth’s bones, thus preventing periodontal disease. Previously linked to blood clotting, Vitamin K also harnesses proteins that have the ability to distribute minerals in the teeth and bones. This vitamin is vital to both transporting calcium to our bones as well as preventing calcification. You can find Vitamin K1 in kale, spinach, collard greens, mustard greens, beet greens, turnip greens, Swiss chard, broccoli, Brussels sprout, and parsley. Vitamin K2 is found in fish and other meat, dairy, eggs, butter, and fermented vegetables. Remineralize teeth by re-mineralizing your water. If you’re not on a healthy diet or you sweat a lot, you need the nutritious minerals. Water that has been re-mineralized also quenches thirst much better than regular water, and it is also absorbed faster. Adding mineral into your water increases the pH and brings it to an alkaline state. Buy a reverse osmosis system. They are available at Home Depot and other similar stores and run about $350. These systems will purify water using reverse osmosis and add calcium back into it. Mineral drops or tablets are cheap, but they work just fine. Add Celtic or Himalayan salt to water. Celtic and Himalayan salts add up to 80 vital trace minerals to the water. Add just a pinch of either one, and don’t worry about the taste being bad. Add Pascalite clay to your water. This wonderful clay comes from Big Horn Mountains and is rich in minerals. Pascalite clay is also used for burns, infections, acne, rashes, and cuts. Did you know that you can heal cavities with eggshells? It may sound bizarre, but it’s all quite logical. 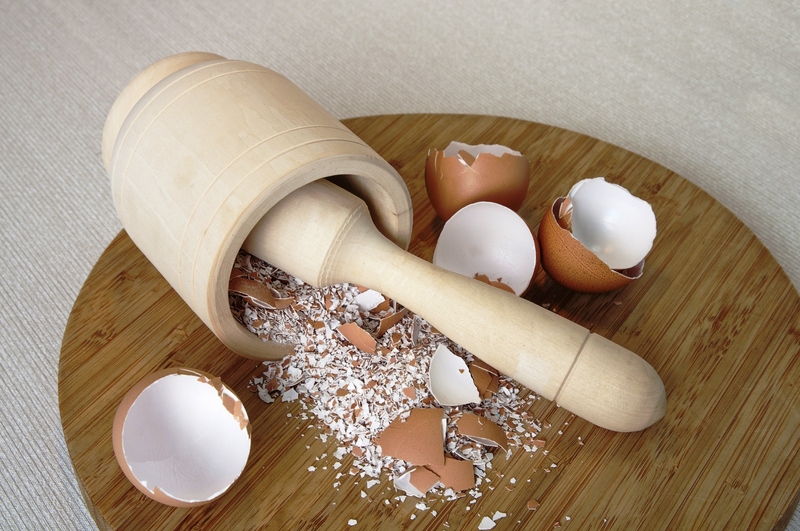 Eggshells contain huge amounts of calcium and about 27 other minerals that will help remineralize teeth without a doubt. The eggshell’s composition is similar to that of our teeth, so it should come as no surprise that it’s a highly efficient way to remineralize teeth naturally. Here’s how it’s done. You must take the eggshells and place them in boiling water for a few minutes to kill pathogens. Then, air dry and grind them. The ideal amount of eggshell calcium you must consume is about half a teaspoon a day. Keep in mind that you must use eggshells coming from free range, organic chicken. Oil pulling is an ancient Ayurvedic practice that is not only good for your teeth but for your overall health as well. Oil pulling works by detoxifying the mouth, cleaning the oral cavity of toxins and creating an antiseptic environment. This contributes to a proper flow of saliva that prevents cavities and other diseases. This procedure has been used for thousands of years to cure tooth decay, heal bleeding gums, reduce inflammation, kill bad breath, prevent cavities, and strengthen the gums and the jaw. Swish one or two tablespoons of coconut or sesame oil in your mouth for about 15 minutes. Make sure you get it between your teeth and don’t swallow it. Brush your teeth (preferably with a re-mineralizing toothpaste). It’s best you practice oil pulling first thing in the morning before brushing your teeth or drinking anything. Do oil pulling about three or four times a week, and you will see some wonderful results. Search for homemade remineralizing toothpaste recipes and say goodbye to your commercial toothpaste. You can also brush with activated charcoal, as it known to pull the toxins from the oral cavity. Eat organic raw chocolate. Store-bought chocolate is indeed bad for your teeth, but if you can find organic raw chocolate, then don’t be afraid to eat it. It’s one of the most mineral-dense, rich in vitamin foods on the planet. Cocoa is full of Chromium, Iron, and Magnesium. However, being acidic, you should rinse your mouth with an alkaline solution after eating chocolate.